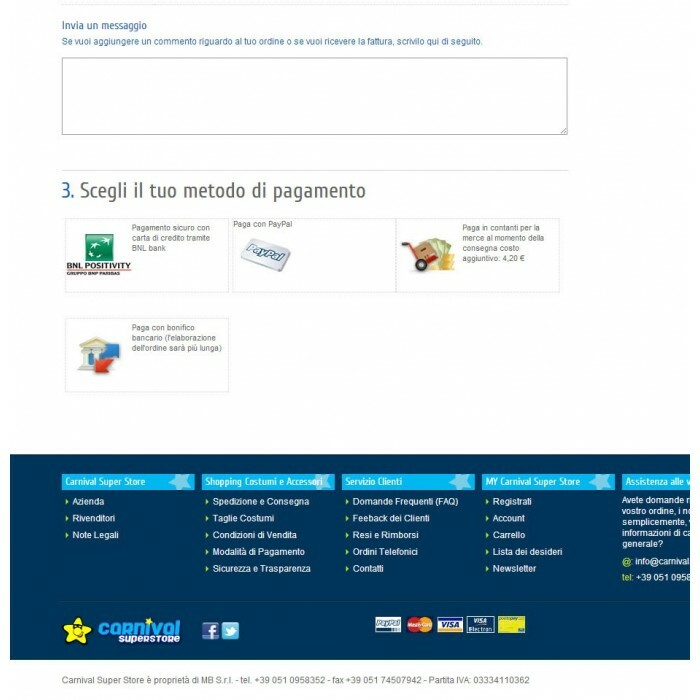 The Official module BNL (http://www.bnlpositivity.it/it/soluzioni-pagamento/pos-virtuale.html) permit any transactions with major credit cards. The Official module BNL built with BNL POSitivity (http://www.bnlpositivity.it/it/soluzioni-pagamento/pos-virtuale.html) permit any transactions with credit cards (visa, mastercard, american express, diners, jcb, paypal). - Modules tab: You can view the list of orders not gone well and the respective error codes include motivation. 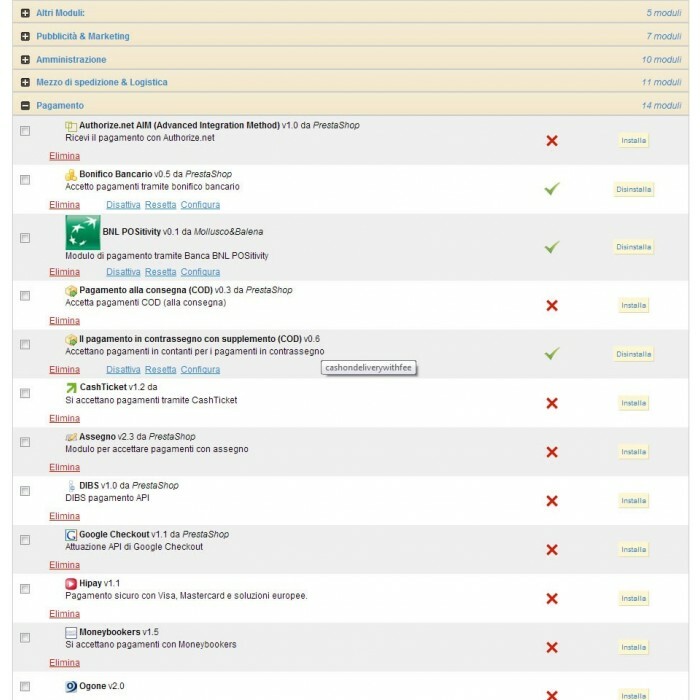 - Modules tab: You can also delete an order from the list if it is not successful. This list also includes the date, the direct link to the client, the code BNL, the amount of the carriage and the ID of the shopping cart. The customer can select from a wide range of credit cards to pay for their purchases (visa, mastercard, american express, diners, jcb, paypal) with evidence of working with a global market leader in what the group BNL BNP -Paribas. 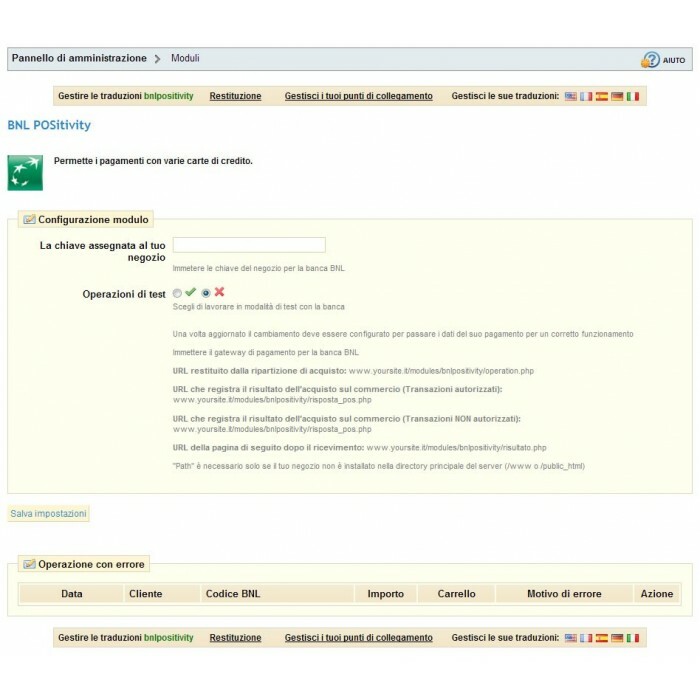 The installation involves manual configuration of the STORE ID and SECRET KEY (supplied by BNL) in the page-ipg util.php and STORE the ID in the configuration page of the form.